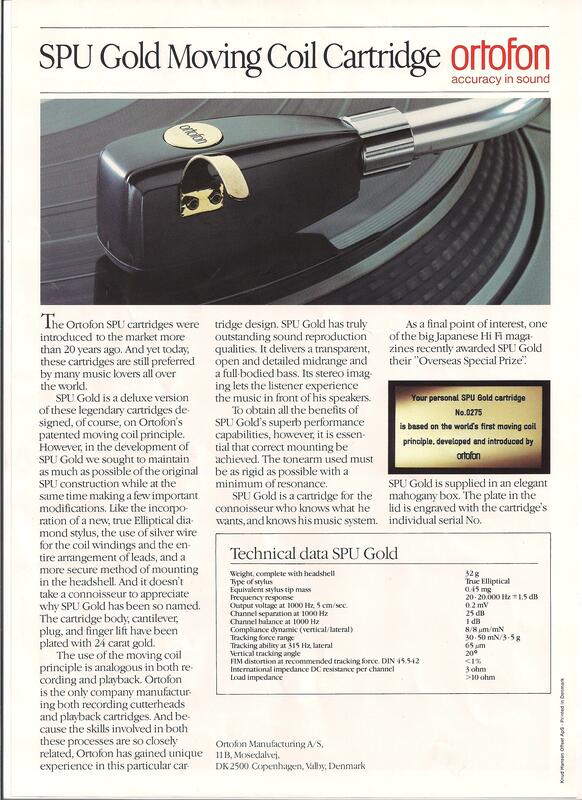 It doesn't take a connoisseur to appreciate why SPU Gold has been so named: the cartridge body, cantilever, plug and finger lift have been plated with 24 carat gold. SPU Gold has truly outstanding sound reproduction qualities. It delivers a transparent, open and detailed midrange and a full-bodied bass. Its stereo imaging lets the listener experience the music in front of his speakers. To obtain all the benefits of SPU Gold's superb performance capabilities, however, it is essential that correct mounting be achieved. The tonearm used must be as rigid as possible with a minimum of resonance.